Browse content similar to 16/02/2017. Check below for episodes and series from the same categories and more! with Susannah Streeter and Aaron Heslehurst. Live from London, that's our top story on Thursday 16th February. North America Free Trade Agreement, but not everyone is a fan of CETA. We'll run you through the details later in the show. Also in the programme: Second time lucky? high octane team-building exercises. Exciting or just excessive? what retro technology would you like to bring back? so who is the biggest winner, the EU or Canada? France, because of the relationship with a French-speaking area. Belgium! The French speaking part of Belgium. protesters, and that strength of feeling is growing, isn't it? We have elections. Election forecasts are difficult bees days. model to use a trade model for when Brexit happens. Internet giant's throne contenders, look at Snapchat. and it is a similar story to Facebook. younger users, which Twitter is failing to do. We will have two C.
Do you use it? -- we will have to see. a request to arrest the head of South Korea's largest company. Will the prosecutors be lucky, if you will, this time? to include concealing a criminal profit and hiding assets overseas. president has orally been impeached, hushed -- already been impeached. we will stay across. There has been a starter in world markets. and reassurance over tax reform from President Donald Trump. Lets take a quick look at how European indices have opened. by record highs on the indexes. They all finished at all-time highs. as wielding permits for January as an early indication. met Donald Trump yesterday and said they didn't want it. States, it is hard to see that achieved. You will take us through the papers when you come back. the top supermarket for online shopping in a new Survey by Which? Which? magazine. a bit of a surprise, Richard. supermarket. Waitrose and M are coming tops again this year. experience though. Richard, great stuff, we appreciate your time. assets of about 15 billion. They want to have a job. Absolutely. Forces. -- reservist. You rub offered the same kind of training. connect. I will sign up for that one! I can see you doing that one. called you Sarah before, it is Sarah. involved on the BBC business live web page. On Twitter and you can find us on Facebook, at BBC business news. 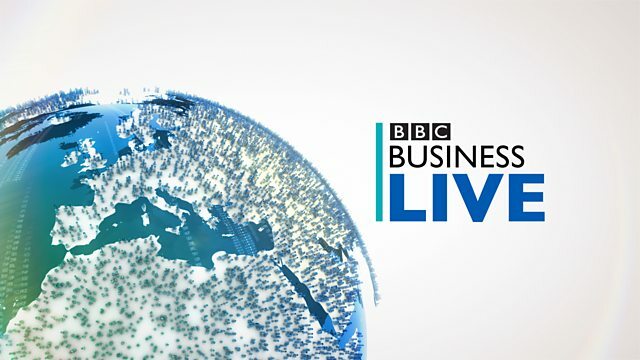 Business Live on TV and online, whenever you need to know. James Bevan from CCLA Investment Management joins us again. and that is because there is demand from the ultra long life batteries. launching its fashion label, do you think they could make a success? demonstrating success. Thank you James. the breeze, and some will finish the day with a bit of sunshine. the south-east, that cloudier zone is where temperatures will hold up. Scotland later in the day. Enjoy your Thursday.